While we have embraced the era of artificial intelligence, we are also afraid of losing our jobs. So, the question that arises is what exactly will cause unemployment, do you think it's because of robots? Well, no, It will be because of the inability of employees to fulfill tasks with ease and in less time. A threat to jobs has increased fear, anger, and depression among the employees. But the fact is, jobs won't just disappear completely instead there will be more jobs by 2020. If we go into the figures, there were 2 million more jobs while eliminating 1.5 million jobs. The sectors where we will see the spike in the number of jobs are healthcare, manufacturing, education. There is no doubt that AI will ease the work of employees. Though there will be the loss of employment, the new jobs will also be created which doesn't exist yet. There will be such jobs in future which we cannot even imagine today but those will be related to artificial intelligence. "We cannot deny the fact that humans are the ones that contribute to the economy, not the robots." 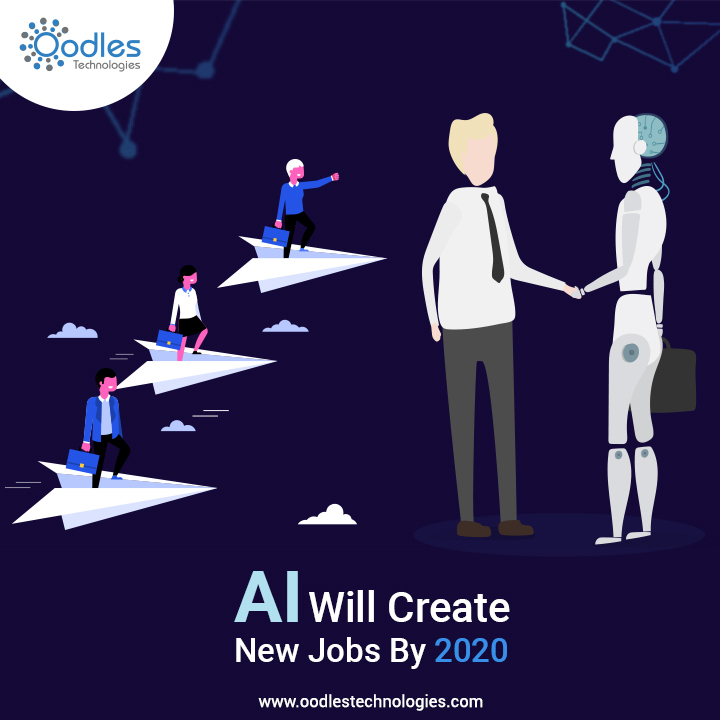 In this growing era of technology, the growth of AI is increasing but still, there are sectors which need more improvement and for that, there is a need for more employees. So this will in return makes more and more jobs. All countries should come together and work for the better future by using AI in the right place. "Artificial Intelligence should be seen as the opportunity for the new jobs and not as the threat." Mike Rollings, once said that AI will take on repetitive and mundane tasks which will help humans a lot, but the symbiosis of humans with AI will be more nuanced and will require reinvestment and reinvention instead of simply automating existing practices,"
The Robots and the growth of artificial intelligence is eventually the blessing in disguise for every people in this world.